The massive political victory of Narendra Modi led BJP government has shaken all his opposition from the core but changed the whole game that no one could ever expect. After Independence, even though the nation is the single largest democracy of the world, however, most of the period, Gandhi family ruled it. Though after the death of Rajiv Gandhi, Congress never had a chance to win with a full majority, still it had its fair share in the power game apart from the Vajpayee era. Whether it’s BJP bad luck or Congress good luck despite being a good performer, the BJP led NDA government faced defeat, and again Congress ruled for a decade. But the 2014 election had a different plan where all political pundits failed in their calculation, and people chose communal Modi over secular Congress and proved that the social media generation is different than its ancestors. But why this happened suddenly and why all political parties were unable to notice such changes despite having many finest strategists in their team. The first thing we should remember that it never happened suddenly and it’s not about BJP and in fact, Modi was preparing himself during his tenure at Gujarat. Those were the days when Advani was the poster boy of BJP and was trying his best to project himself as the PM candidate, and no one had any objection. But Modi slowly changed the situation and projected himself as the poster boy BJP as well as of the nation where the entire 2014 election was like Modi vs everyone else in the Indian politics. Here is how 2014 election changed the whole scenario and what are the impact on it. Whether Modi delivered his promise or not is a different topic, but Indian politics is no more about caste and religion, and people focus has been shifted to development and employment. The political scenario of India had always been run through the caste/religion strategy and BJP was not new to it, and it carefully convinced Hindus as their messiah. The demolition of Babri created huge controversies though both parties didn’t waste any time to project themselves as the saviours of their targeted vote bank. And the practice continued, but leaders like Vajpayee had successfully refrain themselves from this, however, that didn’t help as expected. Even though NDA led government under Vajpayee didn’t focus on caste/religion and development (India Shining) was their primary agenda that didn’t give success. Surprisingly, Congress won, and the old school of vote bank politics continued. Whether it’s national or regional level, everyone has/had its own vote bank, and were following even after the Allahabad High Court put a ban on caste/religion rallies in Uttar Pradesh. The state, where it was impossible to think about an election without caste-based politics and everyone was following it silently before the rise of BJP who itself labelled as a pro-Hindutva party. And the agenda of development was the primary slogan of Narendra Modi whom media and opposition already portrayed as Hindu hardliner. The infamous 2002 Gujarat riots for which Congress never left a stone unturned to target Modi faced repeated rejection in the ground of Gujarat itself, and surprisingly Modi’s constant victory from Muslim majority areas increased their blood pressure. The Truth: Gujarat 2002 aka Operation Kalank even proved to be a disaster in 2007 but least they expect that Modi could ever come to the national level with a full majority. Though Modi projected his 2007 victory as the win of development over vote bank politics, Congress was confident about its secularism, and the 2009 election increased their confidence. Little did they know Modi was preparing for more than a decades and was doing everything to project himself as the face of development which had never been a core part of Indian politics. The rise of social media became a Bramhastra for him where he successfully got the attention of the young generation who are least concerned about caste/religion. 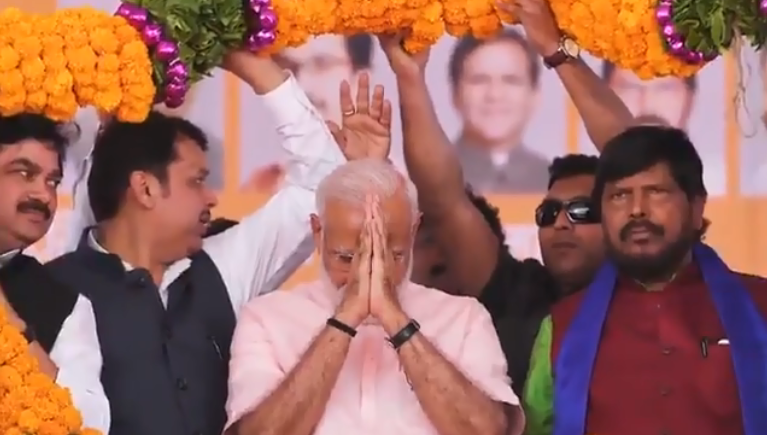 Despite facing mockery from the opposition parties as the PM of social media, he proved that the Indian election is no longer can be fought over caste and religion. Though BJP had used its core agenda, still the front runner was the Gujarat development model, and his victory gave a clear message to the nation that development must be the primary agenda of the election. Percentage of vote always become a hot topic, but sometimes it proved wrong where the winning party gets less vote share. Both 1999 and 2014 proved it, and surprisingly both time NDA won the election, but in 2014, it almost wiped out the opposition and became the single largest party. The most surprising fact was BJP had the lowest vote percentage ever but won maximum seats, and on the other hand, Congress got 283 seats in 1967 with 40.8% vote share. Every election after Rajiv Gandhi death often proved that no one could rule without alliances, and even after the massive popularity of Modi, no one had the hope of single-party rule. But the repeated failure of coalition government where the power struggle is intense within the alliance instead of oppositions made people think about choosing a single party. People had already fed up due to multiple corruption, and the struggle of the ruling party to pass a bill was clearly visible, and BJP didn’t make any mistake to take the full advantage from it. The party managed to convince that having a coalition means a threat to the nation and its development, but there is no clear evidence whether a single party or a coalition could lead well. The massive failure of demonetization even forced to think voters if they should accept the theory of single-party rule or not, but whatever the reason, Modi proved that there are scopes beyond a coalition government. Till the end of the 2014 election, the popularity of Narendra Modi was at sky-high even though coming generation leader like Aravind Kejriwal also didn’t beat him despite gaining popularity for anti-corruption movement. Often other parties were underestimating the power of social media and mocked him as the PM of social media, but they could hardly imagine that the 2014 election was all about social media. Even during the 2014 election time, mobile data was not cheap still, social media became a place for hot political debate and traditional media no longer has the monopoly. Traditional media slowly lost its market and viewership and often accused as the mouthpiece of certain political parties that forced them to change the strategies. The Indian National Congress who was the main critic of Modi’s social media campaign has forced to follow BJP strategy, and use it as the primary medium to reach voters. In one sentence, all elections after 2014 have been fought on Facebook, Twitter, Instagram and WhatsApp, and no longer depends on roadshows and television only. Economic reformation by the Modi government drew a lot of criticism from opponents as well as from veteran economist that often raise questions. Demonetization move proved to be a disaster for both the economy and Modi government’s reputation as well that gave one of the biggest opportunities which they were looking from more than two years. However, despite facing backslash for its unfulfilled promises, the Modi government has brought some changes that are helping the economy. It will combine state and local taxes into a streamlined tax system. Though it’s looking difficult, however, GST has still the potential to bring reformation in the taxation system. The government extended the expiry date of the industrial license that helped companies to run businesses without any worry about licenses which created a business-friendly environment. The government passed a bill to remove 20 products which were exclusively reserved for small and medium business to encourage more investment and employment opportunities. The infamous 2G spectrum corruption created a huge controversy over many years where many raised questions about the allocation process, but the government passed an order to make it transparent. According to the new order, the government must create an auction process and set criteria for participants to make it transparent. Due to the Direct Benefits Transfer, authentic beneficiaries like those who are living below poverty are able to get benefits of government funds where money can be transferred to their account. The plan though started by UPA government and Modi opposed, however, he promoted it after assuming the office. This helps to eliminate fake accounts and fraud that happens in many government schemes and saves funds that could be lost due to corruption. If you compare the scenario before and after 2014, you will find changes which you could never imagine before 2014 but are real now, and it’s because of one person whether we admit or not. Politics was not a hot topic for youth before some years which is a normal discussion now a day, and the credit goes to Narendra Modi strategies to attract the young generation. 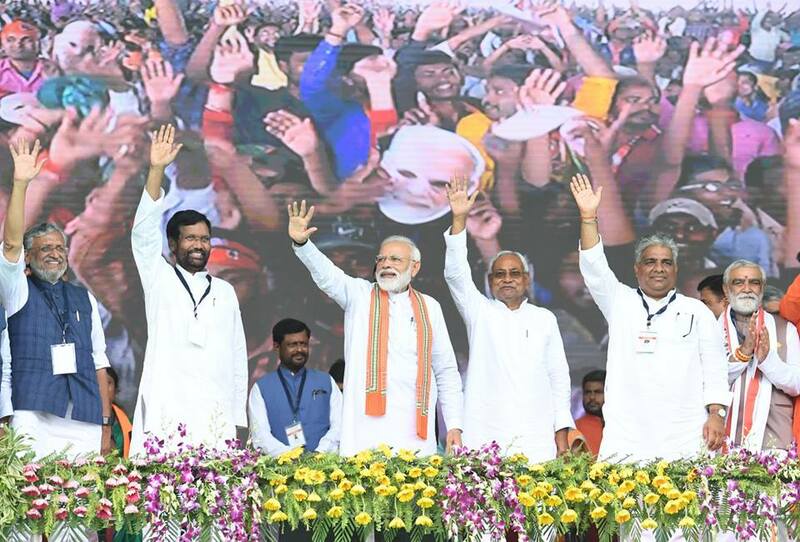 Whether Modi delivered his promise or not is a different topic, but Indian politics is no more about caste and religion, and people focus has been shifted to development and employment.